We had a little break in the rain yesterday so I could take pictures. 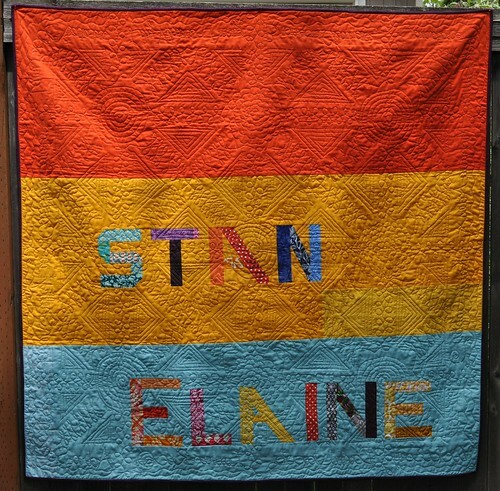 This quilt was made for my parents' 40th wedding anniversary that was last month. I wrote more about it a couple weeks ago, if you're interested. 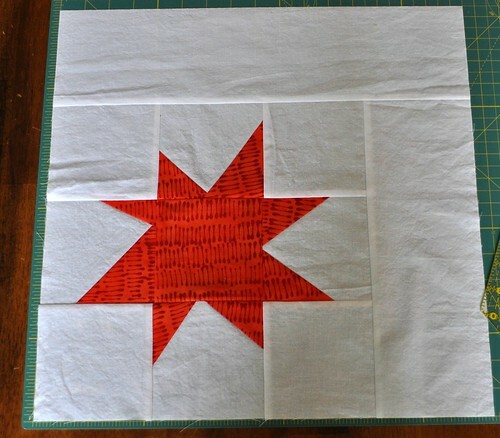 The supernova pattern is from Freshly Pieced, and my color scheme was inspired by Lee's finished quilt that can be seen here. I'm so glad this is finished. One day I think I might make another one for me to keep. 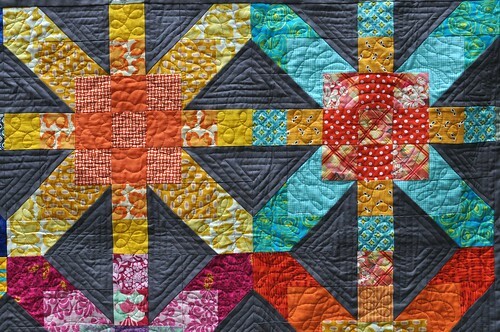 These colors were so fun to work with and it was fun making a secret project for my mom and dad. I've been working on some other projects and I'll be back to share more about them soon! 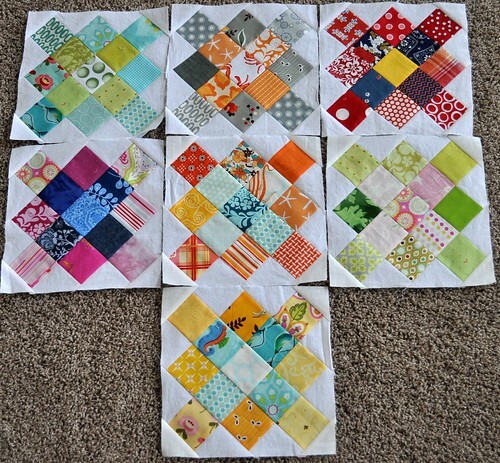 I've been quilting, and I'm really loving this quilt that is almost done. 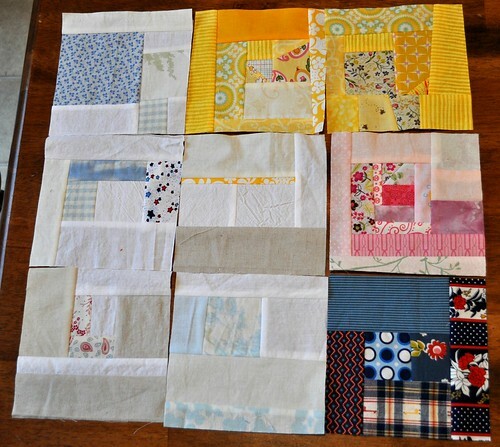 I have a few quilting progress pics for now and I'll show the whole quilt as soon as it's ready, in just a few days I think. 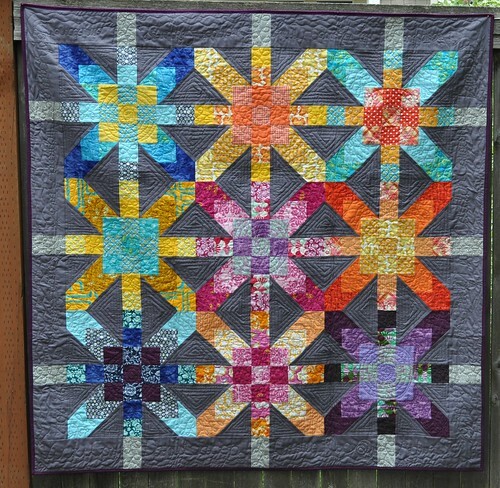 The story of this quilt: Back in February I decided to make 40th anniversary quilts for my husband's parents and my parents--both sets have their anniversaries in May. 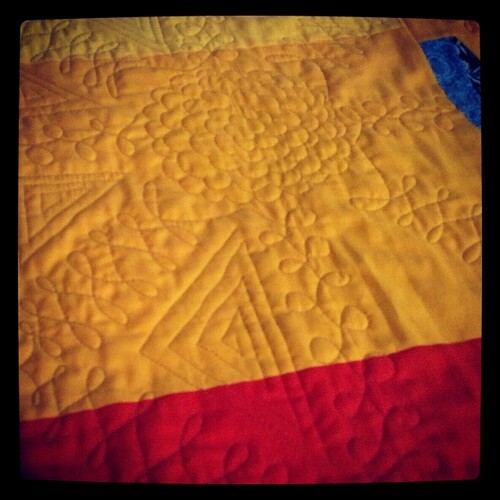 I gave the Swoon quilt to my mother- and father-in-law when they visited us for spring break, and then started working on my parents' quilt. My siblings were planning a party for their anniversary and I was invited but was pretty sure I wouldn't be able to make the trip to Utah. At the same time (for several weeks) my grandfather was very ill, and old too, and I was hoping I would be able to attend his funeral (also in Utah). Well, my grandpa passed away on May 29, and the funeral was set for last Sunday and Monday, and we figured out a way for me and my kids to get there and back (thanks Dad and Cory for driving with me!) Last Sunday was also the day the anniversary party had been planned so I was also able to be there for that. 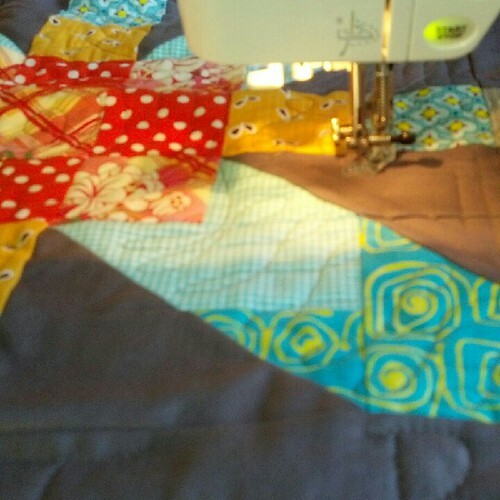 I got my mom and dad's quilt as close to done as I could and took it to show them, planning on keeping it to finish the quilting. They loved it. The visit to Utah was good for me and my kids; I just wish my husband had been able to be there with us. The funeral was sad but actually it was the least sad funeral I've been to. He was so old (just over 96 years old) and ready to die; he had been ill for so long and it was a blessing that he was finally able to go. Visiting with my siblings and their kids and my parents was wonderful. We were also able to spend some good time with my inlaws; I love my family! 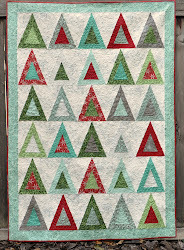 I am finishing the quilting in the gray triangles and there are 20 spots left to do. I'm also starting my first project inspired by the Alabama Stitch books... got some stencil plastic and fabric paint today; I'm using a thrifted $3 tee to refashion into a beautiful one for myself. 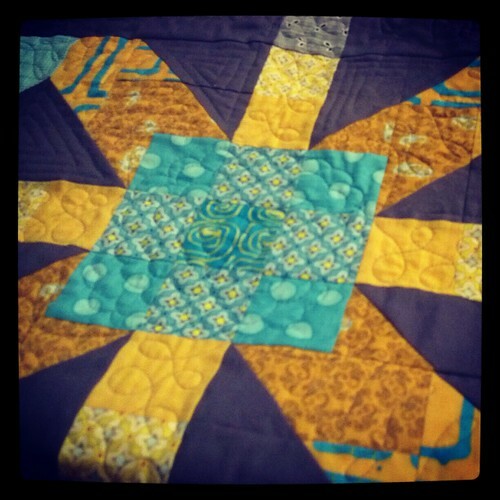 I'll be back soon to show off the finished supernova quilt!